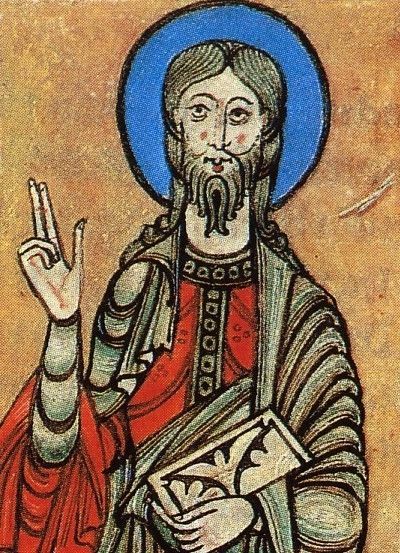 No single figure shaped the imagination of medieval Spain more than that of St. James the Apostle (Jacobus major), who was beheaded by soldiers of Herod in Jerusalem in A.D.44, thereby becoming one of the first Christian martyrs. The legend tells how his relics were brought by boat to Galicia in north-western Spain, and how they were later discovered there in miraculous circumstances. In this remote corner of Europe, besieged by Islamic forces pressing from the south, the Christian kings of Asturias needed a champion, an image of power for their Reconquista. In the tenth century the area was in the hands of the conqueror Al-Mansur, but after his death it reverted to Christian control. By the mid-eleventh century the obscure site of Jacobus' supposed tomb, known as the Compostela (from Campus stellae — "field of stars", or compostum, "burial ground", depending on the story) had become a venerated shrine. The Christian kingdoms found in Saint Jacobus (Santiago) a patron and hero who could lead them in their battle against the Islamic invaders; as these were pushed back to the south during the eleventh and twelfth centuries, the cult and shrine of Jacobus became one of Europe's most important pilgrimages, attracting devout Christians from all over Europe. And as Santiago matamoros, "St. Jacobus the Moor-slayer", his image with sword in hand and on horseback began to permeate Iberian Christian art. The Codex Calixtinus or Liber Sancti Jacobi (Cathedral at Santiago de Compostela) contains an account of the saint's miracles; the legend of his life and martyrdom; a propagandistic fiction about Charlemagne and Roland as proto-pilgrims to Santiago; a pilgrim's guidebook (the first European travel guide? ), describing the various routes to the shrine through France and Spain; and the repertory of chant needed for a complete two-day celebration of the feast of St. Jacobus, 24-25 July — a convenient time for the arrival of pilgrims making the six-week journey from northern France, Germany, and England. The repertory includes chant for Vespers and a Vigil mass on the eve of the feast; then for the Night Office, and Lauds, Mass, and Vespers. This extensive repertory of chant was provided especially for this occasion, adapting melodies from the elaborate, melismatic style of the traditional Gregorian. In addition, the manuscript includes some new compositions in the modern chant styles recently developed in France, using lively rhythmic verse that rhymed and scanned; this kind of verse was often stanzaic, and could employ refrains; its melodies were more tuneful and accessible than the elevated Gregorian style. Typically used for processions, in their most popular form they became pilgrim songs, such as "Dum pater familias" at the end of this collection. The chant repertory is further enhanced by the addition of some twenty pieces in the new two-voiced polyphony being developed in France and Aquitania from 1050 to 1150. In some pieces, usually those with rhyming verse texts, the two voices move together, note-against-note, rendering the lyric rhythms in a more massive way. In other pieces, especially those using a melismatic Gregorian chant in one voice, the upper voice provides elaborate decoration on top of the already elaborate chant below. Recent research has tended to confirm the long-standing supposition (based on style of the musical notation as well as the verse texts) that the polyphony came from northern or central France; so the attributions — seemingly fanciful — in the manuscript to prominent northerners may actually point in the right direction. · Santiago de Compostela, Biblioteca dele Catedral, (without shelfmark), "Codex Calixtinus". · Color facsimiles of polyphony in: Jose López-Calo, S.J. La Música Medieval en Galicia, La Coruña, 1982, p. 45-51. · B/W facsimiles and transcriptions of monophony in: Walter Muir Whitehill, Liber Sancti Jacobi (Codex Calixtinus), vol. II. Santiago de Compostela, 1944. · No. 14 (Cunctipotens genitor deus). Monophonic sections from Paris, Bibl.Nat.f.lat. 887, fol.56 (as transcribed in) David Bjork, The Kyrie Repertory in Aquitanian Mss. of the Tenth and Eleventh Centuries. (Ph.D. dissertation, Univ. of Calif. Berkeley, 1976) p.61. 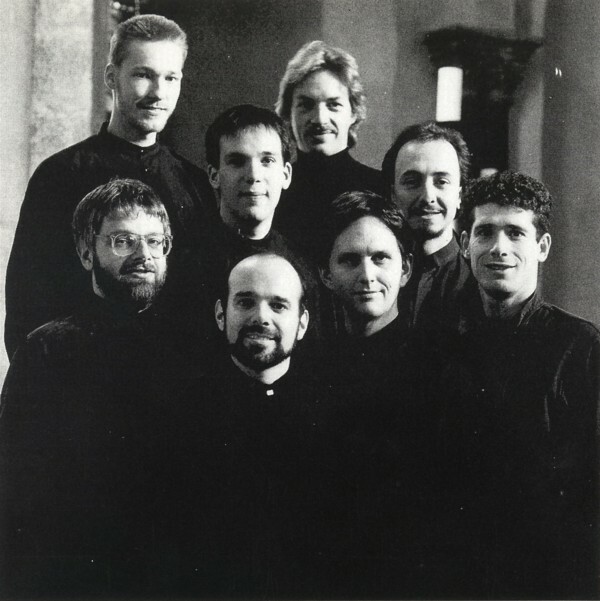 Since its founding in 1977, Sequentia has become the internationally-acclaimed leader in its field — an ensemble which combines vocal and instrumental virtuosity with innovative research and programming to reconstruct and re-vitalize the musical traditions of the Middle Ages. Under the direction of its founder Benjamin Bagby and Barbara Thornton, Sequentia has expanded into a multi-faceted ensemble whose size and composition vary with the demands of the repertoire being performed. 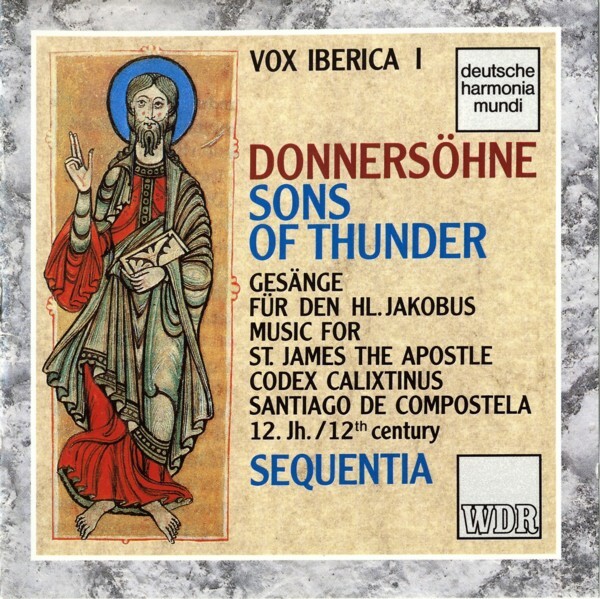 This CD is the first in a three-part series (Vox lberica) devoted to the music of medieval Spain.